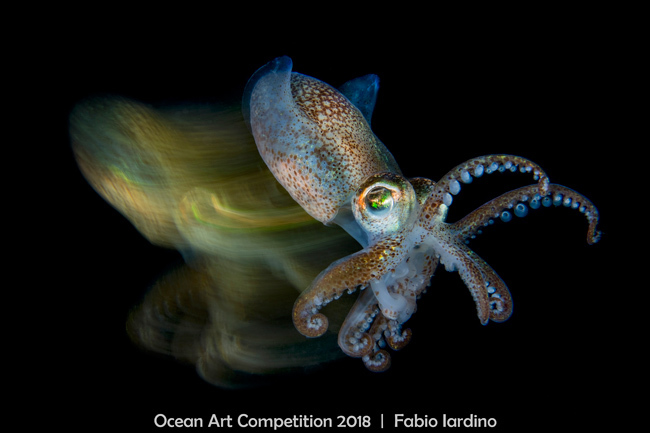 Fabio won a $300 gift certificate to Bluewater Photo - a premier underwater photography online and retail shop! The Story: During a night dive, I met this cuttlefish. Intrigued by his way of moving, I tried a technique of slow sync flash to get a shot with an effect of movement.